Last night after work, I attended an event at Kenneth Cole. 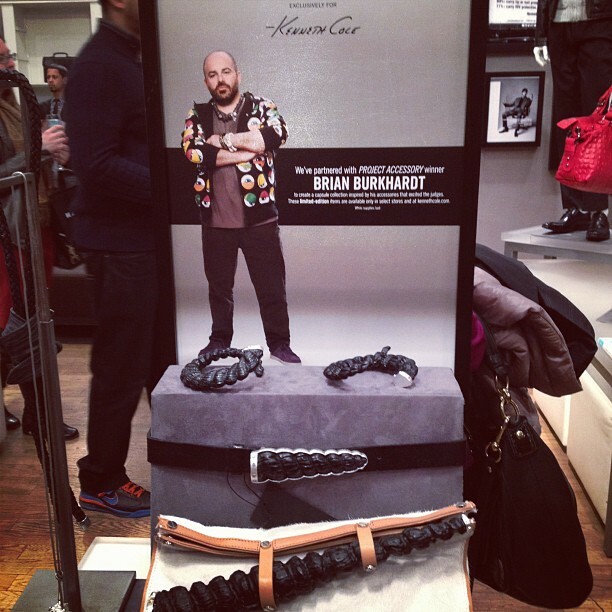 Project Accessory (spinoff of Project Runway) winner, Brian Burkhardt, debuted his unicorn collection exclusively for Kenneth Cole. Host of Project Accessory and named one of the ten most stylish women in Vogue, Eva Jeanbart-Lorenzotti was also present. Later on, some of the contestants of Project Accessory arrived as well as Kenneth Cole himself. If you've watched the show, you might remember that beautiful horn handle created by Brian! 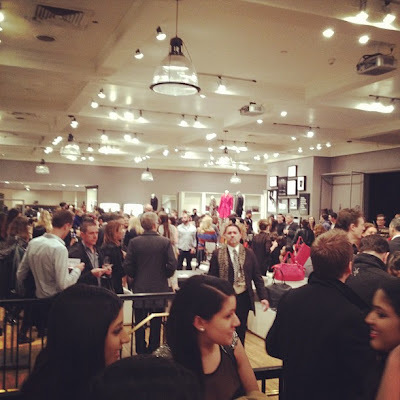 All of the profits from the collection will be donated to AWEARNESS, The Kenneth Cole Foundation, in support of amFAR. Although not as cool as Project Runway, I did enjoy this show. 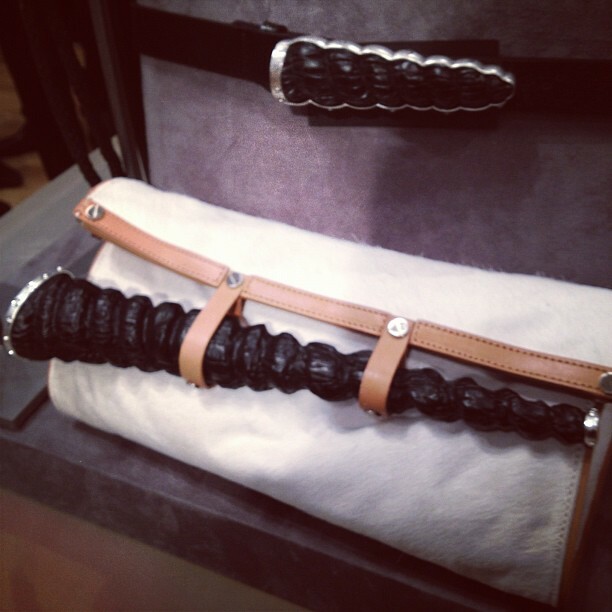 Just for the novelty of seeing how much craftsmanship goes into accessories. Is it weird that I've always wanted to be the person in front of those backdrops? Looks so fun! Wow hope you had an amazing time!!! Looks like a fun time. I've never seen the show, but I do love accessories! Oh wow, this is so great, I had no idea there was a spin off, we don't get it on Tv here. Mustve have been a very cool experience. What an amazing event! I love all the pictures. I love that it supports an awareness project! Amazing pics and event, darling! Love that black and white striped dress in the last photo... looks like a Karina Grimaldi! What a great event! 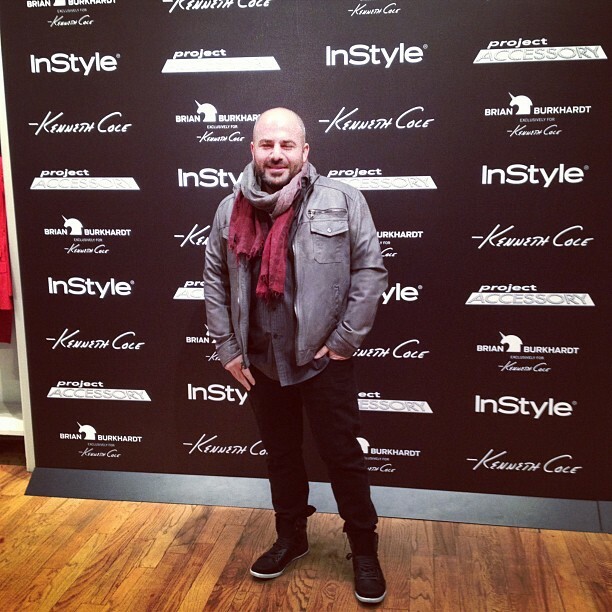 I love kenneth cole's creations! Awesome party! I'm not familiar with this designer although what an honor to be able to design for Kenneth Cole! Congrats to him! cool event! kenneth cole has some pretty amazing stuff! Audrey seems like you've been a busy girl over the past coupla weeks! Loving all the photos! Love the pics, looks like a nice event! Love the pics lady, looks like fun! I hope your weekend is going well, dear. 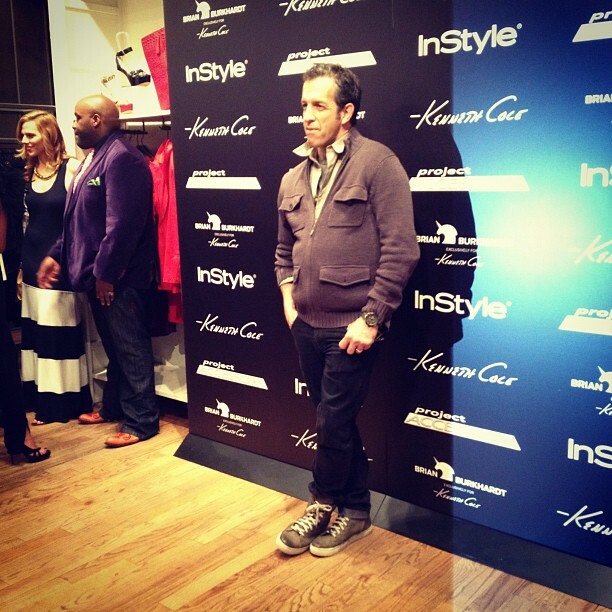 Kenneth cole's creations are so awesome, I love them ! The event looks like a lot of fun. love the pics! I am a new follwer, loving your blog! The event looks great! Kenneth Cole is so creative. great pics! this looks like fun! Jealous times one billion. Wish I could have been there! It sounds like you had a ton of fun. Wow, looks like it was a very cool event! Great photos!